simply scrum-diddle-e-umptious!!!! 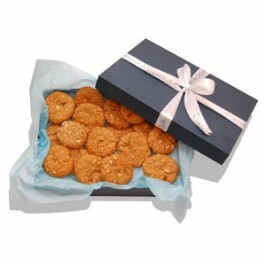 the yummiest cookies you'll ever taste comes in a stylish box fi lled with 150g muesli cookies with almonds & apricots and 200g ginger snap cookies. freshly baked t o order. if not! why not? 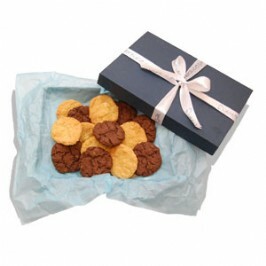 a stylish box filled with 500g delicious home-made cookies (150g muesli cookies wit h almonds & apricots, 200g ginger snaps and 150g choc-chip, pecan nut & raisin cookies). not to be s hared with just anyone! 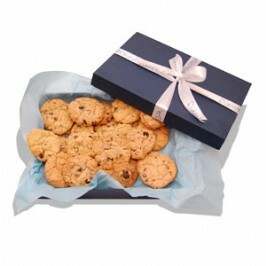 a stylish box filled with 650g delicious home-made cookies (150g muesli cookies, 200g ginger snap co okies, 150g choc chip, pecan nut & raisin cookies and 150g smarties cookies). 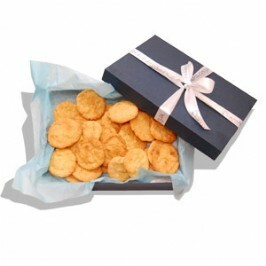 you'll be on cloud nin e by the last bite... freshly baked to order. 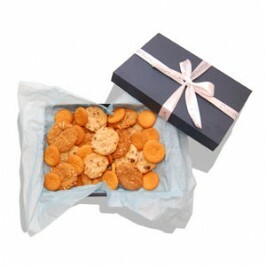 delicious home-made butter cookies - with oodles of macadamia nut, orange zest & white choc chip.... y u m m y!!! freshly baked to order. 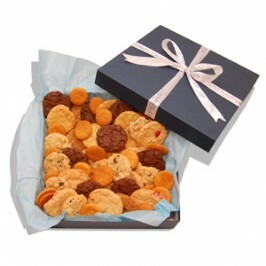 nutty about pecans, choc-chip and rasins? 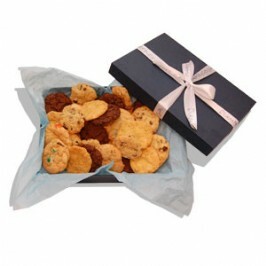 then this is the box of cookies for you... filled with 100 % delicious-ness! 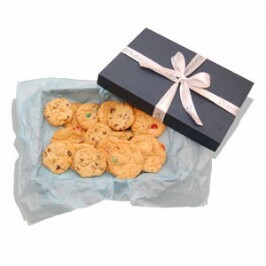 freshly baked to order. 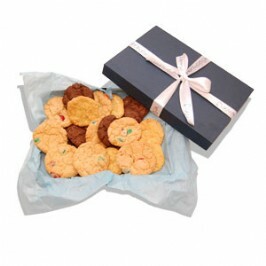 get a cuppa tea and settle in for the afternoon with a good book and a box filled with delicious alm ond and apricot muesli cookies, home made with love by our favourite baker. freshly baked to order. smarties... smarties... and more smarties! 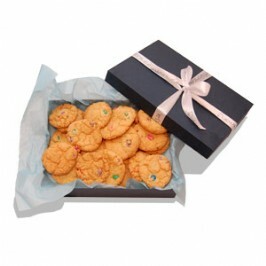 this box is filled with home-made butter cookies jam-pack ed with melt-in-your-mouth smarties in every colour..... oh-so-goooood! freshly baked to order. 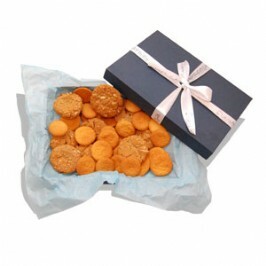 Shopprice is always committed to save every cent of your hard earned money by finding the best and the lowest prices, best bargains and hot deals on cookie gift hampers that fits your budget and requirements. 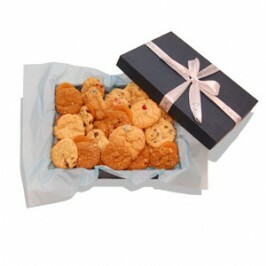 Helping you to get the best deals on cookie gift hampers on various special occasions like Christmas Day, Fathers Day, Mothers Day, Foundation day and so on.